A few times each year, Emory students and alumni come together over very special meals where meaningful connections are made and strangers become friends. 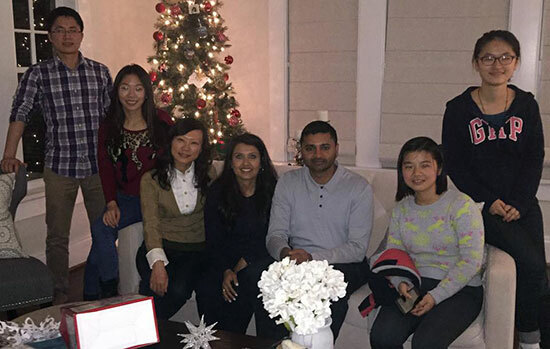 “Dinner with 12 Strangers (D12) and the International Thanksgiving dinners came together when we realized just how many students live too far from campus to go home for a relaxed meal,” says Carol So 10C, assistant director of student and alumni programs for the Emory Alumni Association. In fact, Emory’s student and alumni population comes from 155 counties. “We wanted them to create a program that would give our students a taste of home. More than that, we wanted to realize that they do have family here on campus - their Emory family- and a network over 130,000 alumni strong." 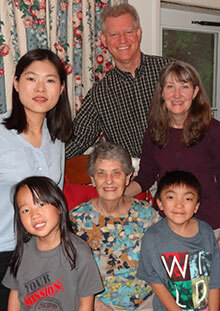 Host Michelle Valigursky, assistant director of marketing communications for the EAA, has sponsored both D12 dinners and an International Thanksgiving with five young women from China and Japan. “I love connecting with the students. These dinners are a great way to learn about what’s important to them and learn about their own family’s food traditions. It’s rewarding to know that sharing a great meal can bring them together and help them form friendships that will endure,” she says. This spring, D12 will offer dinners to students from February 27 to March 1, 2015. If you would like to offer your hospitality, please register your own dinner here prior to January 23. Hosts who participate will receive in-kind giving credit to an Emory designation of choice for the cost of providing the dinner. Participation for students is free of charge.